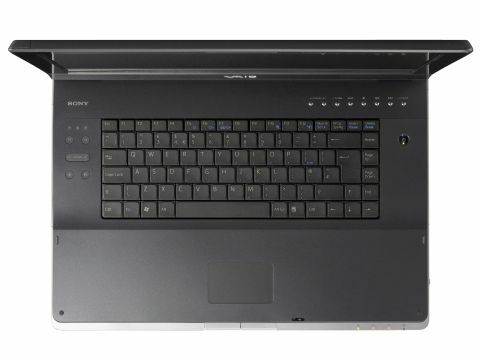 Sony's Vaio VGN-AR21S is the kind of desktop replacement notebook that can give PCs nightmares. Sporting a 2GHz Core 2 Duo T7200 processor, 2GB of RAM and twin 100GB hard disks, it'll leave all but the latest desktops in its wake. However, graphics are the modest Nvidia GeForce Go 7600GT, which are only entry level for a desktop. Of course, the centrepiece is the Blu-ray drive, which will allow you to watch HD movies on the Vaio's 17in widescreen. The latter offers a 1920 x 1200 widescreen resolution and is an X-black TFT, which has a glossy anti-reflective surface to improve brightness and contrast. It's great for movies and there's an HDMI port for hooking up to an HDTV. The Blu-ray drive will also allow you to burn HDV footage to BD, but you'll need third-party software to author discs with menus, as only Ulead software is supplied. The VGN-AR21S isn't a cheap laptop, but with Blu-ray drives still costing £500 plus, it's not bad value overall.